PETAR MIHAYLOV & CO Ltd. has been established in 1997 as importer of the German furniture planes Thermopal. 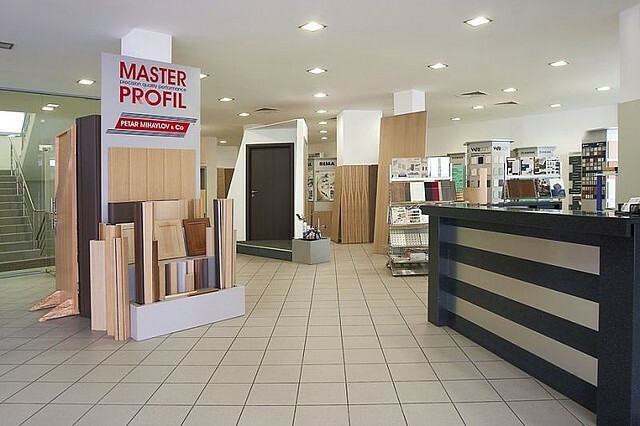 Following its clients’ demands, the company gradually expanded its activity and became one of the largest Bulgarian suppliers of materials, machines and spare parts for the furniture, interior and exterior industry. 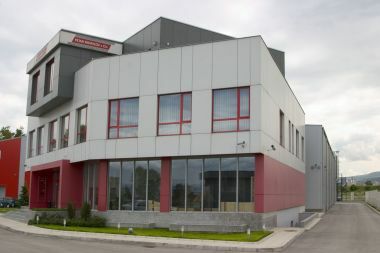 In 2004 the new base office of the company was opened approximately 800 south form Sofia Airport. There, on 10000 m2, the four-level office building with each level of 500 m2 and the store with three transition sectors with total area of 2000 m2 are situated. The first level of the office building houses the showroom and the reception, the second level houses the employees’ offices, the third level houses apartments for the company guests and clients, the ground level houses bar, restaurant and service rooms. The store is connected to the office building via „warm” connection. The store consists of three transition sectors equipped with safe and work-friendly shelving systems. One of these sectors is equipped with special conditioning system providing necessary conditions for the stored glues, varnishes and other materials. The company keeps available more than 30000 items and offers express service within 48 hours. The company has executed interior projects and has furnished many hotels, shops, restaurants, offices and administrative buildings in Bulgaria, Russia, Germany, The Netherlands, France, Switzerland, Serbia, Montenegro, Bosnia, Herzegovina, Croatia, Macedonia, Albania and other countries. 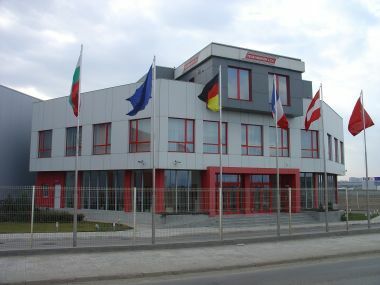 The company is a member of the German-Bulgarian Industrial and Trade Chamber and is the exclusive Bulgarian and Balkan representative of 22 German, Austrian, UK, French and Swiss companies. In 2007, the company started the production of profiles and their lamination with foil or veneer, as well as flat lamination. 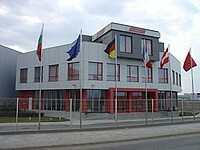 Therefore, new bases were built – two-level production hall with 1800 m2 area and a new 900 m2 store. The machinery consists of brand new models of the leading manufacturers– Barberan, Weinig, Schelling, CMB, Nordson and others.